This course will provide an overview of the Bahá’í faith, its history, the growth of its international community, and its relevance for the prevailing socio-economic world order. The emphasis will be placed on the twin and interrelated processes of individual spirituality and transformation on the one hand, and the role of moral values in the evolving world order and their attendant impact on human and social welfare, on the other. The course will also discuss the current socio-economic activities of the international Bahá’í community as part of its efforts to contribute to the evolution of human activism – this resulting from a growing consciousness about the essential unity of humankind and its place within broader ecological and social systems. Bowers, K.E. 2004. God Speaks Again: An Introduction to the Bahá’í Faith. Baha’i Publishing, Ill, USA. Esslemont, J.E. 2006. Bahá'u'lláh and the New Era: An Introduction to the Bahá’í Faith. Bahá’í Publishing Trust. Smit, P. 2008. An Introduction to the Bahá’í Faith. Cambridge University Press. 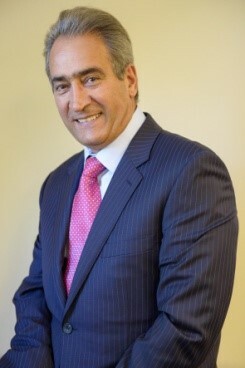 Iraj Abedian is an economist by training, a graduate of Universities of Tehran (BA Economics 1977), Cape Town (Honours and MA, Economics, 1980 and 1983), and Simon Fraser University, Canada (PhD Economics, 1993). He lectured at UCT from 1982 to 2000, then joined Standard Bank of SA as their Group Chief Economist, and in 2005 he established Pan-African Capital Holdings (Pty) Ltd and Pan-African Investment and Research Services (Pty) Ltd. He has been actively involved in public policy making and the prevailing political economy discourses of the country since 1985.